You CAN develop the qualities of the greatest leaders in the world, you CAN transform yourself and your team into high-powered performers who get RESULTS. I will prove it. You probably know I speak at dozens of events per year. 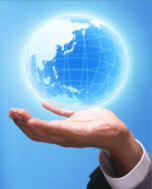 I give presentations about leadership, personal success, and business success. I love speaking at these events, because I've made it my mission to share with bright, talented people – people just like you – that success is within your grasp. All you have to do is follow the tracks left by other successful people, and your success becomes inevitable. These questions definitely fall within my realm of expertise. You probably know – as the people at these events do – that I grew up poor, didn't graduate from high school, and was homeless as a young adult. I eventually got a job in sales, and discovered the guiding principle I mentioned above: that by doing what the most successful people do, I could mimic their success. Finally, I started a training company, teaching people how to become successful. Now, I'm a multi-millionaire, running a very successful international training company. I'm a best-selling author and a sought-after speaker. But here's the rub: the "what do I do to be a better leader?" questions illustrate the misconception that many people have about what it REALLY takes to become a strong, effective leader. "The 12 Disciplines of Leadership Excellence." Your ability, as a leader, to master the 12 disciplines outlined in this e-book can do more to help you rise to the top of your field than perhaps any other single factor. This e-book teaches you the disciplines you need, and shows you how to master them, so you skyrocket your success as a leader. And I just released it this week! SCENARIO 1: I'm pretty good at what I do, but the economy is just killing my business. I love this one. 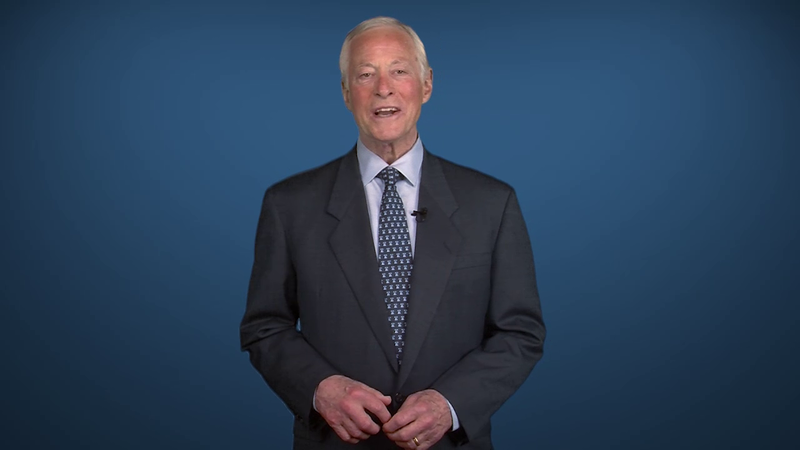 More importantly, I love explaining why great leadership – and YOU as a great leader – can build a thriving business no matter what the economy is doing. I smile, nod, and wait for the next scenario. SCENARIO 2: I could really do great things if I wasn't constantly putting out fires. the best person to carry out the most important tasks? I can relate, I say. But fortunately, you don't have to do everything. In most cases, doing less really is more … and I can show you how to ensure that you come up with an effective system for doing less… and still get the results you want. SCENARIO 4: I've completed tons of training, but my team just isn't performing well. This is probably my favorite scenario. Because, as a leader, you must take responsibility for everything that happens in your business. The good news is that as you become a great leader, your team becomes great, too. I hear these scenarios from people all over the world…all the time. When you begin to think like a great leader, follow in the footsteps of great leaders who have come before you, and concentrate single-mindedly on continually developing the qualities of a great leader, you will become … a great leader. So what EXACTLY is a Great Leader? FIRST, a Great Leader is someone who inspires and motivates everyone he or she comes into contact with. Whether it's the members of your team or the customer who comes to you to solve a problem, people feel good - and operate at their best - with your guidance and help. SECOND, a Great Leader is someone who continuously pursues personal excellence. You are constantly looking for ways to better, stronger, and more effective, and you lead others to do the same. THIRD, a Great Leader is a problem-solver. As the inevitable obstacles, trials and challenges arise in your life, you waste no time dwelling on the problem; instead, you immediately begin developing a solution. Every time. FOURTH, a Great Leader knows how to leverage. By leveraging your own strengths and skills, and those of your team members, you constantly increase the return on equity. This results in increased productivity and profits. You see, becoming a Great Leader requires determination, tenacity, and hard work. It requires changing your habits – and in some cases, your belief systems. And, of course, it requires changing your actions. After 4 decades, I've distilled a proven formula for Becoming a Great Leader down to the most specific qualities you MUST develop, and the most important areas on which you MUST focus personally and professionally. Implement this formula and watch your business grow, your team members thrive, and your life take the shape and balance you crave. Once you make the decision to become an outstanding leader, nothing can stop you. It's simple: develop the qualities and practices of great leaders who have come before you, and you, too, will become a great leader. … you have the knowledge to supercharge your leadership abilities and take your team and your business to the next level … and the next … as high as you want to go. So you'd likely agree that a course that could teach you all that – and more – is a course worth learning more about. As I said earlier…I spent the past 4 decades teaching hundreds of thousands of people what I know. During that time, I've had tons of conversations with business owners and entrepreneurs. It turns out they all want the same key things: To grow their businesses, work with a high-powered team, and to create a fulfilling work-life balance. Here are 8 specific reasons Becoming a Great Leader helps business growth, team results, and work-life balance to fall into place. Clarity drives the forward-thinking entrepreneur toward goals more effectively than any other quality. When you're clear about exactly what you want and how to get it, you strip away anything that's extraneous to your purpose. You streamline your success. It's simple. and When to Stay the Course. As a businessperson, you must develop both the courage to take risks and the patience to stay the course. These carefully calculated decisions result in big payoffs over time. Reason 3: You Become Empowered. When you embrace your role as the leader of an organization or department, you focus on opportunities rather than drawbacks, on solutions rather than problems, on what you can do to make a difference and reach your goals. In this way, an endless world of possibilities opens to you – and you're mentally and physically prepared to seize them. Team Members and Your Customers. When every decision you make is guided by a compass of morality, people trust you, and therefore, they respect you. Ultimately, they support you in your pursuit of your most important goals, because they know you're doing what you believe is right and good. When you think strategically, you learn how to increase your return on equity, which in turn increases the bottom line profitability of your organization. For every desired result, you create a strategy that leads you there – whether it's to earn more money, hire more people, or spend less time working and more time doing what you love. and therefore, You Become the Best. By focusing on the needs of each situation – and the strengths and core competencies it will take to meet those needs – you become THE best at what you do. People stand up and take notice, and your team, your business, and your personal life improve. When you know how to create a powerful system of dedicated people, all working together toward a common goal, success becomes automatic for you and your business – without you having to manage every minute detail. Leadership is who you are. 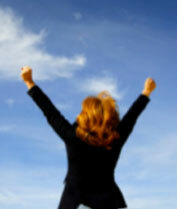 As you develop the essence of what it takes to be a leader, your success skyrockets. You become more effective when you continually think and act on the basis of the key qualities of effective leaders throughout the ages. The very best leaders and managers have identified the key skills required by their craft, and then honed and leveraged those skills – in themselves and in their team members – for massive improvements in their results. Part of being an effective leader is your ability to create an environment that is conducive to high performance. The best way to do this is to do everything in your power to unleash the potential of the average person who reports to you – because most people work at 50% or less of their potential. Leaders are made through continuous personal development. You are your most valuable asset, and you can increase your value indefinitely. Your goal, then, should be to do so through constant thinking, learning, and improvement. Almost all your success as an executive will result from your having chosen the right people for the right jobs - people with the right talents, personality, skills and ability – and then delegating appropriately for maximum leverage. 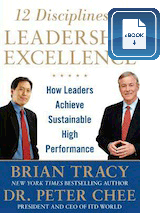 A copy of my 225-page e-book, "The 12 Disciplines of Leadership Excellence." PERFORMANCE LEADERSHIP" IS GOING TO COST YOU. People clamor to attend my live leadership trainings for thousands of dollars every year. But because I want to reach as many people as I can with this information, I created this course to distill much of that same information into powerful lessons you can use right away to BECOME the leader you're destined to be. That's why I feel confident asking $247 for it. How long will it take you to earn this investment back in your business once you've supercharged your own productivity and that of your team? Not long, I can assure you. Plus, you make this investment at no risk, because you're covered by my Iron Clad, 100% Satisfaction Guarantee. Buy the program, put the lessons to use in your life for a full year. If you don't believe it's worth the investment, you can return the product for a full product refund within 365 days of your purchase. "Yes, Brian! I'm Ready to Discover High Performance Leadership"! A copy of my e-book, "The 12 Disciplines of Leadership Excellence." And I understand I'm covered by your Iron Clad, 100% Satisfaction Guarantee. I buy the program, put the lessons to use in my life for a full year. If I don't believe it's worth the investment, I can return the product for a full product refund within 365 days of my purchase. It's time to ask yourself the right question. Instead of "What can I do better as a leader?" You should ask yourself, "How can I BECOME a High Performance Leader?" 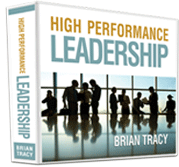 "High Performance Leadership" is EXACTLY what you need to get the right answer to that question.